In a category full of brilliant women, we are thrilled that Fin Redshaw has been nominated for Best Designer at The Stage Debut awards 2018. 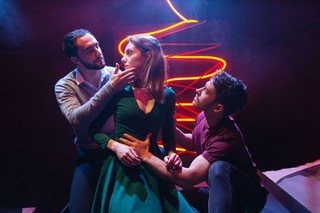 The nomination is for her design of Pieces of String and Love Me Now at the Mercury Theatre, Colchester and the Tristan Bates Theatre, London. Fin is on the Simon & How Creatives list and is represented by Sam Tooby.